At Kidditech we provide a warm inviting preschool environment where relationships are key, everyone is cared for and respected, and feels valued as part of our community. 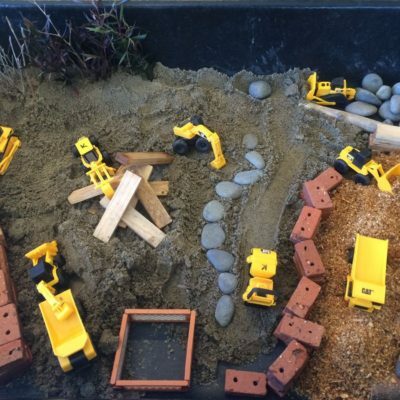 We have a unique learning programme and environment based on science and technology concepts and project work that builds on children’s interests and natural curiosity. As a husband and wife management team we bring our skills and interests, early childhood teaching and engineering, to our unique family focussed early learning centre. Our qualified teaching team provides a rich and unique learning environment for children from 2 up to 6 years. Our project work and philosophy builds on children’s natural curiosity and interest in discovery using a wide range of science and technology concepts. We consider ourselves honoured to be a part of each child’s learning community and we work hard to provide a nurturing and fun environment for children. Relationships are fundamental to all that we do from the moment our families walk through the door until the children leave at the end of the day or session. We greet everyone who comes in and support children as they settle into the day at Kidditech. As a team, we ensure there are lots of interesting activities to capture children’s attention and keep them engaged. The team provides fascinating experiences within our project work for children to discover and question a wide range of interests and ideas. Tasty nutritious snacks are offered to the children and everyone eats together. 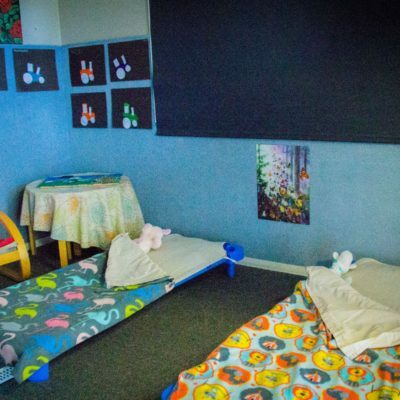 Our quiet sleep room enables a relaxing rest or sleep for the children who need it during their day with us. 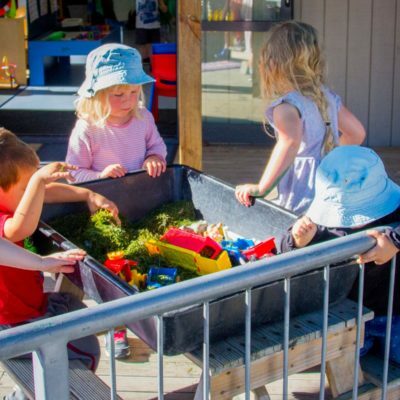 Our purpose designed early childhood centre/preschool provides a secure, fun and challenging environment to play in and explore – everything from tablets to vegetable gardens. The layout of the indoor environment has been carefully designed to enable children active and quiet spaces in which to play and we utilise our separate room for our project work or as a quiet space for children. The indoor play space opens onto a large deck leading to the inviting outdoor play area and can be freely accessed by the children. The centre follows sustainable practices instilling principles in teachers and children to care for the environment now and in the future, through recycling, composting, growing fruit and vegetables and minimising waste. We even have a solar panel on the roof that heats the majority of our hot water. Connecting with parents/whanau and grandparents is important to us and we use Storypark online child portfolios throughout the day, providing updates about what the children have been involved in. We feel privileged to play a part in the lives of children and we do all we can to support parents in their journey of raising their precious children.